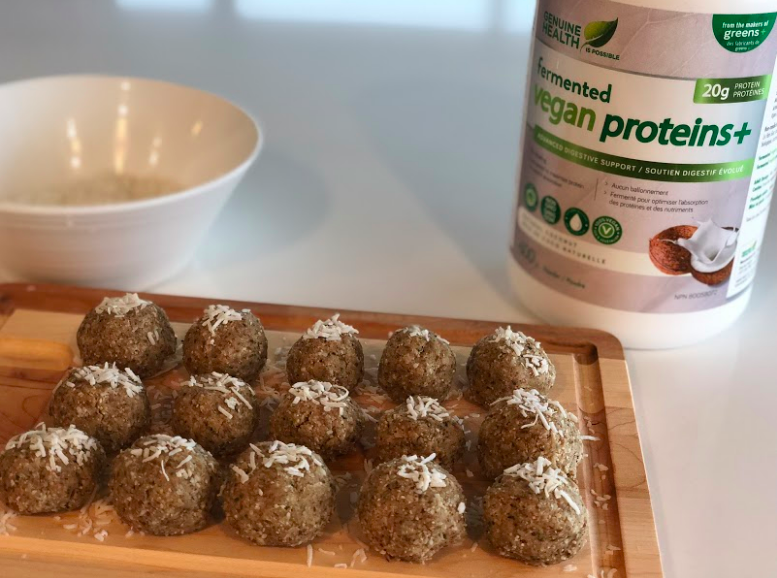 These 5 ingredient Coconut Christmas balls are the perfect pre or post workout treat. Or any time of day for that matter. ½ cup Raw Almonds (for this recipe I used my left over almond meal from making almond milk). Place all ingredients into a food processor and blend until the mixture is a sticky consitancy (approx 45 seconds). Place mixture in a bowl and massage with hands. Roll mixture into balls. Sprinkle coconut flakes on top. Store balls in fridge for about an hour before enjoying (this will lock the balls in place).